The holidays are upon us…do you know what that means? ENGAGEMENTS! Yes, that’s right. Engagement season is in full force starting Thanksgiving and ending around Valentine’s Day. 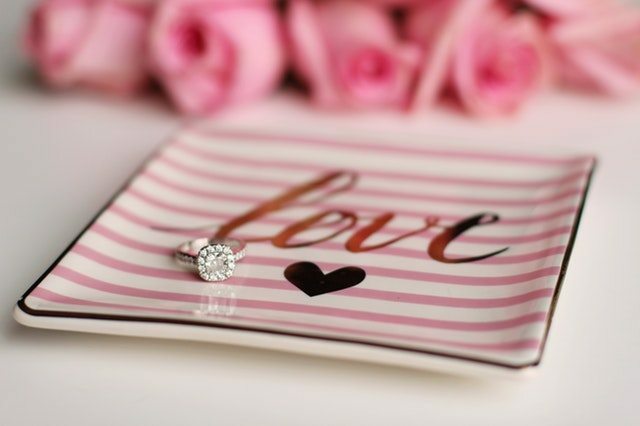 Are you one of the lucky ones that received a beautiful ring for Christmas this year? If so, continue reading because we’re going to give you a few tips on what the heck to do now that you are engaged and have a wedding to plan. Have a talk with your partner about each other’s wedding styles, estimated number of guests, and time of year you would like to have it. This will help when venue shopping. Go venue shopping. Make sure to call ahead to make an appointment, ask questions about maximum capacity, dates they have available, any strict rules they have, and any perks they provide. Say yes to the dress! Did you know a dress can take anywhere from three to nine months to come in? Yes, I said NINE MONTHS! Try to get a general idea in mind of what you think you will like and most importantly, decide on a budget for your dress. You don’t want to fall in love with a $6,000 dress and only be able to afford a $2,000 dress. Start researching and booking vendors. Photographers nowadays can be booked a year to a year and a half in advance. The earlier you lock these down, the less stressed you will be. Have fun with this process! Too many brides get way too stressed out that they don’t even enjoy the engagement. Focus on the big decisions and don’t sweat the small stuff. It will all work out and your day will be perfect! Recently engaged and want a North Carolina beach wedding? Contact Oceanfront Weddings of NC to get started on planning your dream wedding today!